Have a friend or family member who’s tricky to buy things for? 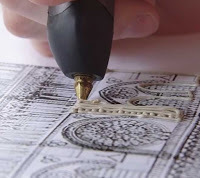 Well, if they’re artsy or into crafting or DIY, 3Doodler Create is a unique gift that allows them to get inventive and create almost anything. I gave each of my kids their own 3Doodler Create and it kept them busy for an entire afternoon as they created everything imaginable. Tech These Out is managed by Rabbi Jason Miller, "The Techie Rabbi". Rabbi Jason began compiling tech gift guides for The Huffington Post several years ago. Rabbi Jason now recommends the top personal consumer electronics on the Tech These Out website.